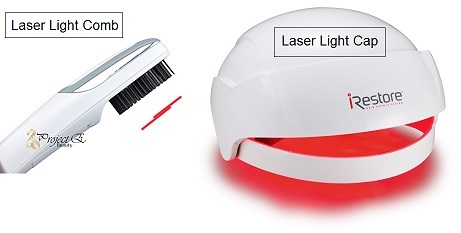 Laser COMB vs. Laser HELMET ? Which Is Better? If you are suffering from hair loss, seeing your hair thinning day after day, is very troubling. 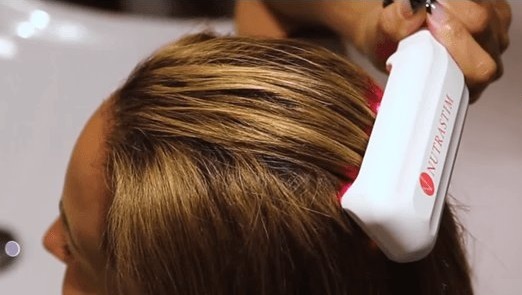 You probably know that this process can be stopped, reversed or at leased slowed down.The most obvious thing you can do, and do quite immediately is look into laser hair growth systems, hair growth comb or laser hair growth helmets. They are both using similar type of technology. The technology is called LLLT – which stands for Low Level Laser Therapy. The idea was well tested and found effective, emitting red light laser at a specific wavelength on the skin, stimulates the hair follicles under the skin to reproduce hair. The shrinking follicles have been found to get larger and rejuvenate hair growth cells once again. The follicles gets stimulated and the hormonal process sends energy to the fatigue follicles. The hair growth cycle can begin once more, the hair grow thicker than the former cycle grown until then. The two main ways to produce the specific 650 nm (nano-meter) range red light is by LED or Laser. The LED as you know spreads the light evenly, while the laser is a focused beam. The pros of LEDs are they cover more area, the cons is the energy they have per each spot is very low. Laser pros is that it can penetrate and send the energy deep where it is needed, in the lower skin layer, the con is that its focused and covers less area. Less Lasers – The laser hair growth combs have more cons than pros. They usually have only 2-8 emitting LEDs or lasers. While the laser hair growth hats and caps have 50-200 lasers and LEDs. 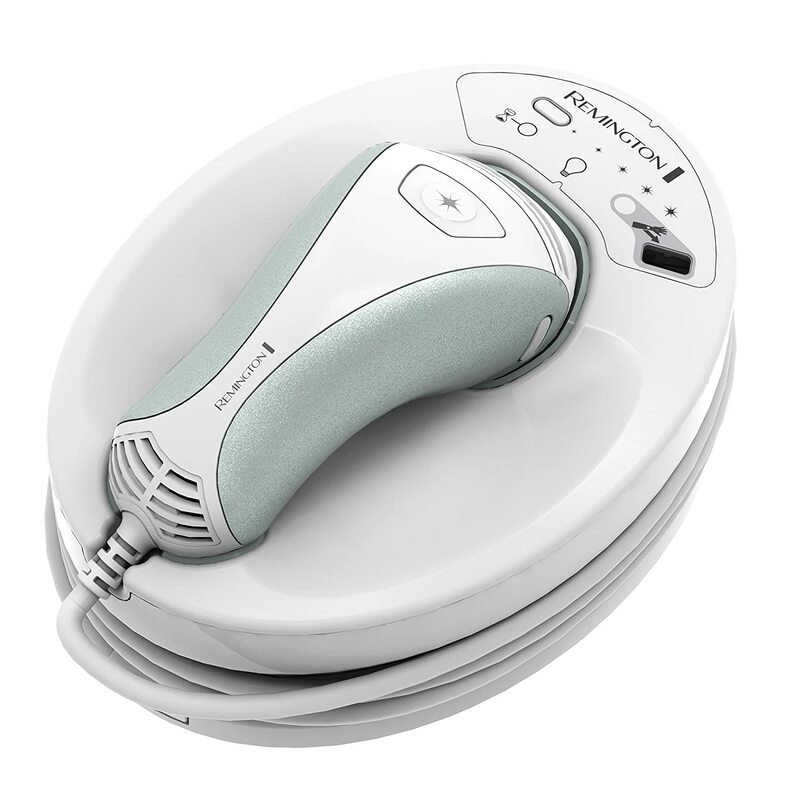 So no matter how you turn it, more lasers mean better chances to stimulate the hair follicles. The laser hats and helmet have a huge advantage over laser combs. Less Friendly to Use – The laser combs require that you hold them and comb the hair, passing the light over the scalp and sending the energy where it can stimulate the cells. The main con here is that the combs are ‘heavy’ and need 7 minutes of combing. Though seven minutes is not much, when combing you can not do anything else but comb. Arms get tired, people begin to slack, less minutes, and skip sessions. 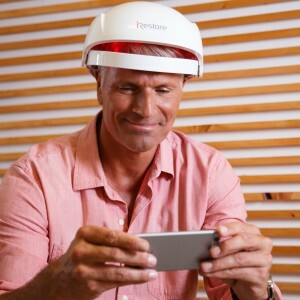 The hair growth helmets are much more convenient, you can read a book, watch TV, be on FB and the laser helmet works on the hair growth cells. The premium laser hair growth system hats have a portable power pack, so you can even use it while you drive each day to work, and get a treatment done in your spare time. Less Energy Per Treatment – Part of the chances to get better results and hair growing back, is how much energy is transmitted to the follicles. The combs are planned for 7 minutes, and in those seven minutes the comb is moving so each part of the skin is getting far less than full 7 minutes. The laser hat is placed over the head and works for 25-30 minutes. The whole time the lasers are sending their energy to the skin. If the cells need light stimulation, they are getting more of it with a laser hat than with a comb passing through the hair. The main pro of laser combs is that the fact they part the hair when transmitting the light. If a person has long hair (thinning… but long) when a comb goes through the hair, it parts the hair, and allowing the light to reach the skin. 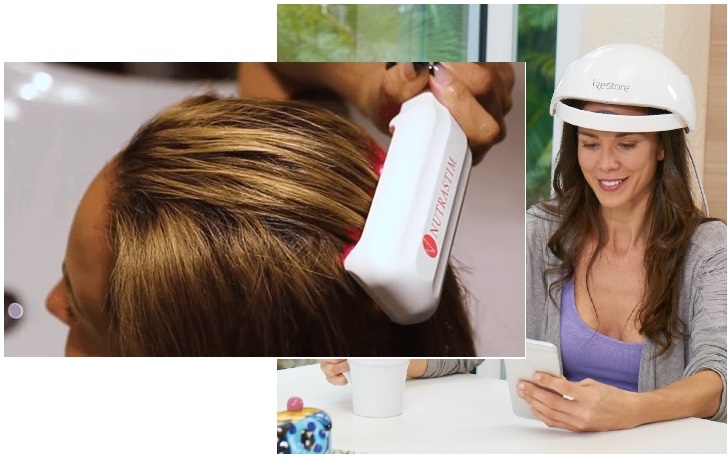 A laser hat will sit over the hair and press it down, and the hair will actually block the light from reaching the skin! The BEST way to get better results with the hat, is to trim it short, or part it in a way so the laser energy could reach the skin. Laser which is blocked by flattened hair is useless. You can go though the laser hair growth cap reviews, many customers have witnessed results of hair regrowth. 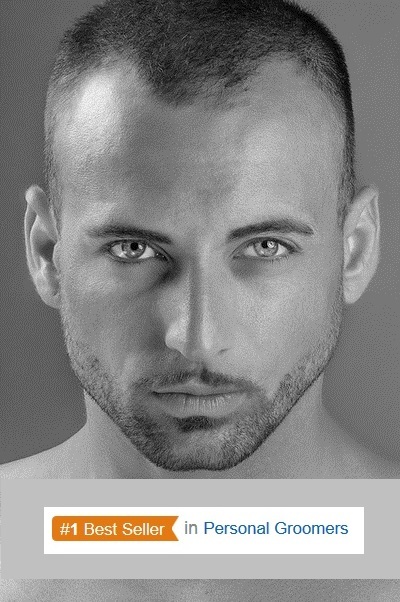 The Low-Level-Laser-Therapy does work for many and enhance new hair growth on thinning heads. 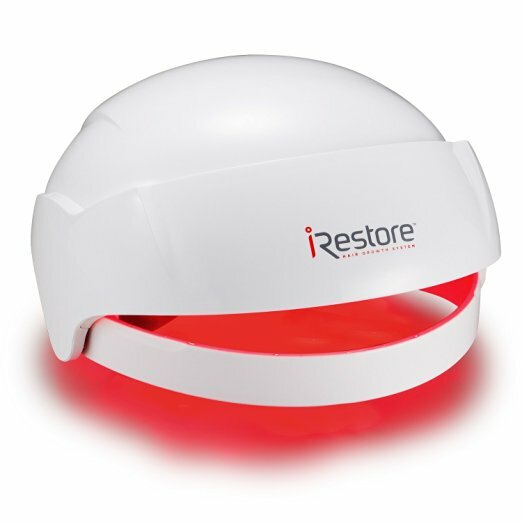 The most popular laser hair growth helmet at Amazon is the iRestore Laser Hair Growth System – Which is FDA-Cleared for Hair Loss Treatment for Men and Women with Thinning Hair. The system is used for 25-30 minutes, 3-4 times a week, for 6 month. You get with the iRestore system a six month satisfaction guarantee which means there is no risk when ordering. Click here to see what other people who used it say about it. You either see results or ask for a refund (check the guarantee details before you order). It is shipped in a regular brown box not indicating what is inside to maintain your privacy. When it comes down to a conclusion laser hair growth helmet is superior solution than laser combs. Use it as intended and make sure the light reaches the skin, and you have better chances for success. This entry was posted in Capillus, Hair Growth Helmets, iRestore, Professional Clinic Laser Systems and tagged Capillus 82 Laser Hair Growth Cap, iRestore Laser Hair Growth System, Laser Hair Growth Comb, Laser Hair Growth Hat, Laser Hair Growth Helmet, LLLT, LOW LEVEL LASER THERAPY by . Bookmark the permalink.